Hantak joined Northern Trust in 2014 as a managing director in Houston. In this role, he led many strategic growth initiatives while earning consistently high satisfaction rankings with the firm’s ultra-high net worth clients. 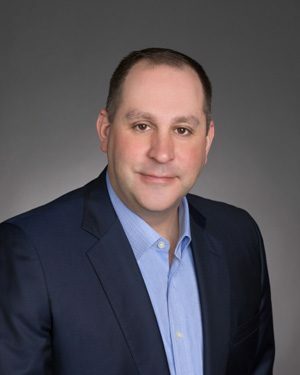 With nearly 25 years of experience in wealth management, Hantak previously served in several investment management roles as a financial advisor, sales manager and branch manager. Hantak succeeds Colter Lewis in leading the Houston business. Lewis assumed leadership of Northern Trust Wealth Management’s statewide operations as Texas President in the spring of 2018. Hantak is deeply involved in the Houston community and serves on the board of directors for Junior Achievement of Southeast Texas and Friends for Life Animal Shelter. He has volunteered with the Houston Livestock Show and Rodeo since 2008, and serves on a number of the organization’s committees. In addition, he is a member of the Children’s Fund of Houston, Texas Parks and Wildlife Foundation, and the Tejas Vaqueros. He is a graduate of Villanova University. Northern Trust Wealth Management offers holistic wealth management services for affluent individuals and families, family offices, foundations and endowments, and privately held businesses. It is recognized for its innovative technology, service excellence and depth of expertise and ranks among the top 10 U.S. wealth managers, with $278.6 billion in assets under management as of December 31, 2018. The Northern Trust Company is an Equal Housing Lender. Member FDIC. So, Who Is Your Customer and How Is the Experience?